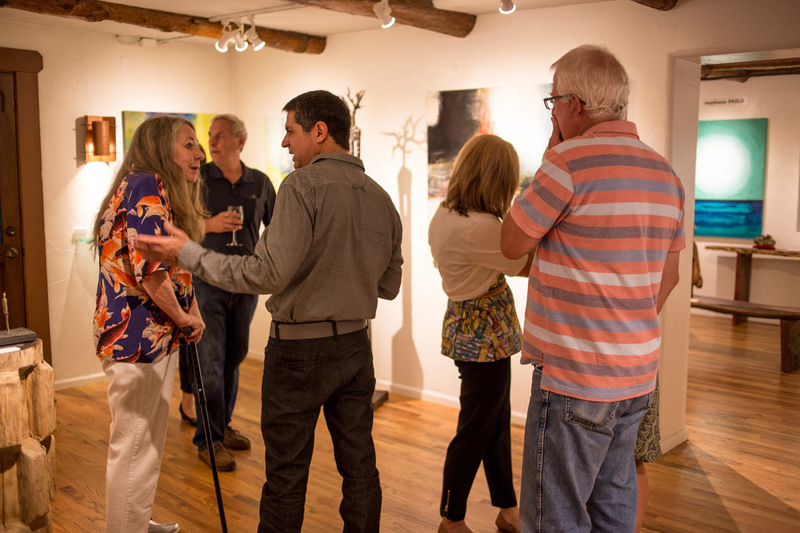 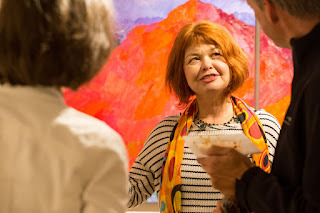 We had an absolutely amazing opening reception for Larisa Aukon's 'RADIANCE' exhibition at Mirada Fine Art on Saturday night, September 19, 2015. If you weren't able to attend, the exhibition will be on display at Mirada through October 11th. Here are some photos from this special evening. 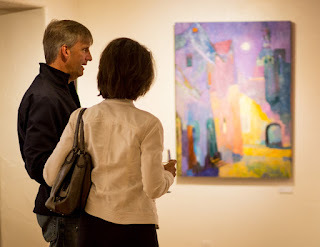 Enjoying a discussion with the artist Larisa Aukon at Mirada Fine Art. Artist Lyudmila Agrich showed up for Larisa's opening reception at Mirada Fine Art. 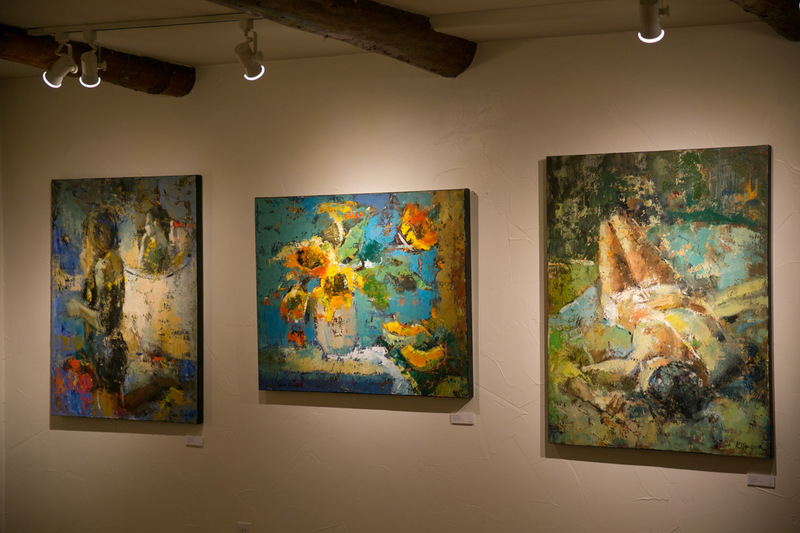 Savoring the artwork of Larisa Aukon at Mirada Fine Art. 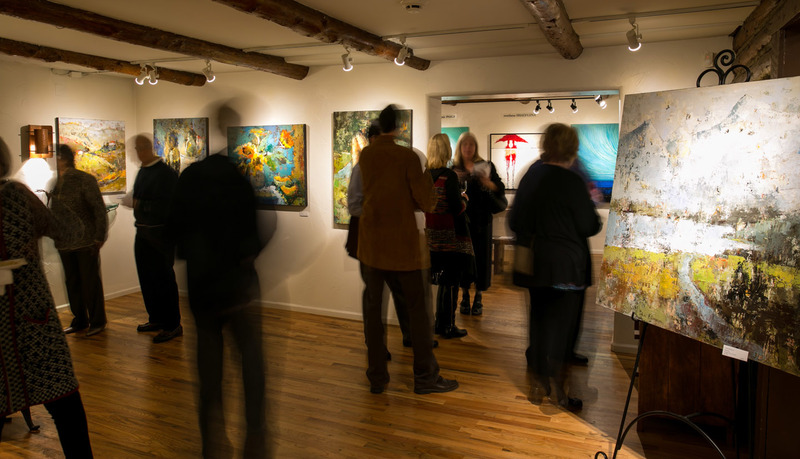 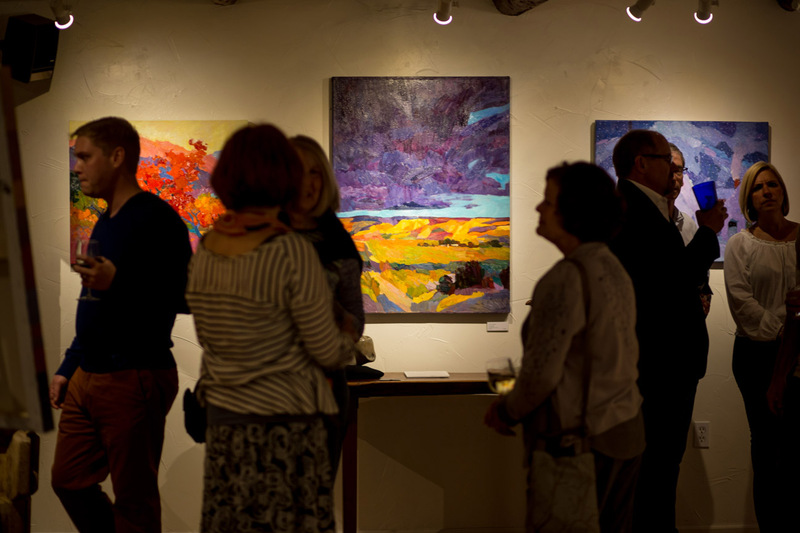 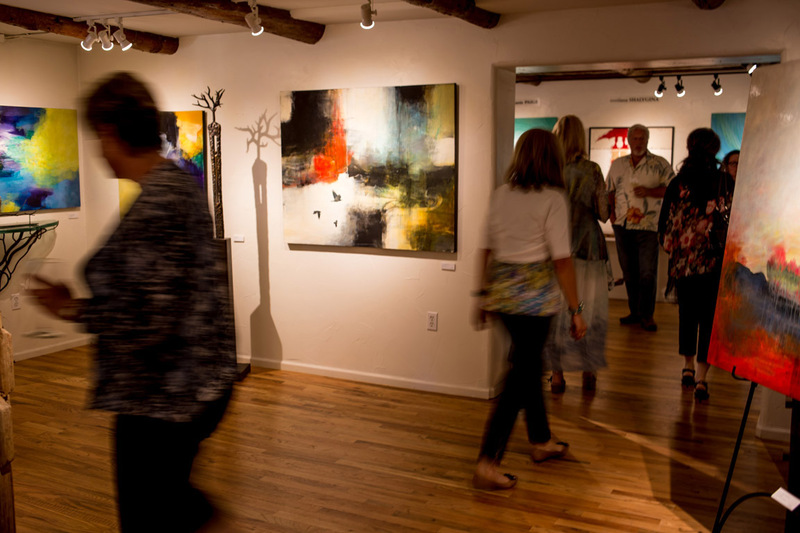 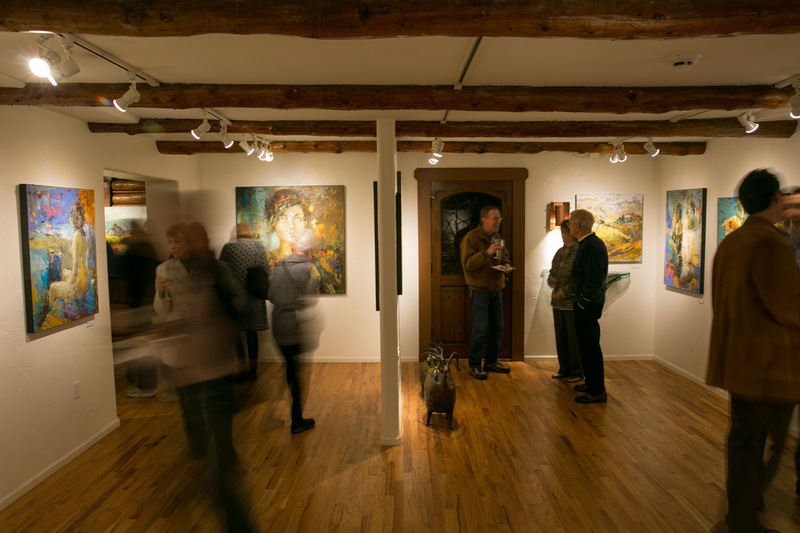 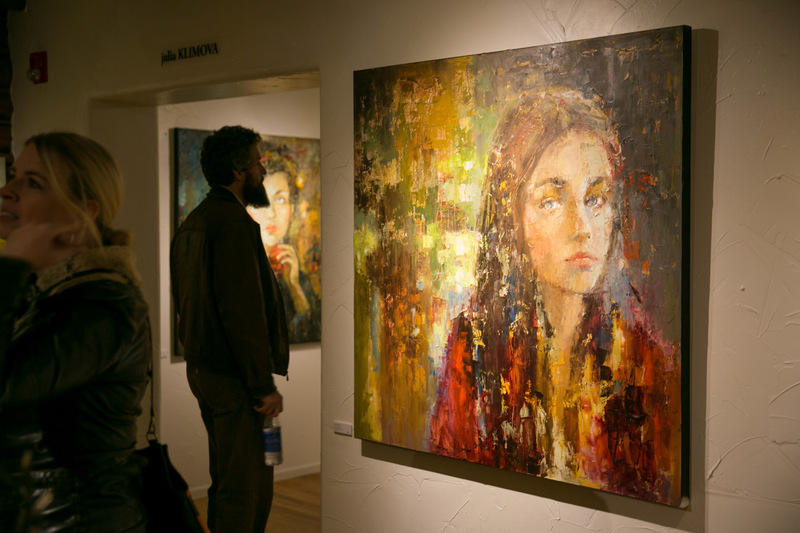 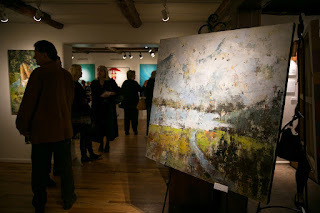 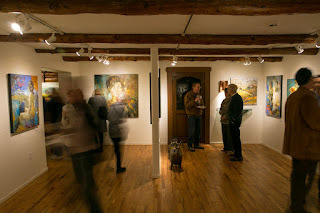 Larisa Aukon's 'RADIANCE' exhibition brought a full house to Mirada Fine Art. Enjoying the opening reception of Larisa Aukon's 'RADIANCE' at Mirada Fine Art. Larisa Aukon's artwork at the 'RADIANCE' opening reception at Mirada Fine Art. 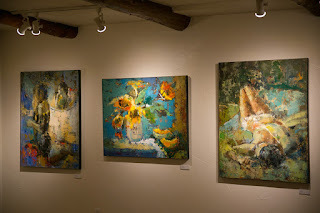 Artist Larisa Aukon at Mirada Fine Art. Larisa Aukon discusses one of her paintings at Mirada Fine Art. Larisa Aukon artwork at Mirada Fine Art. 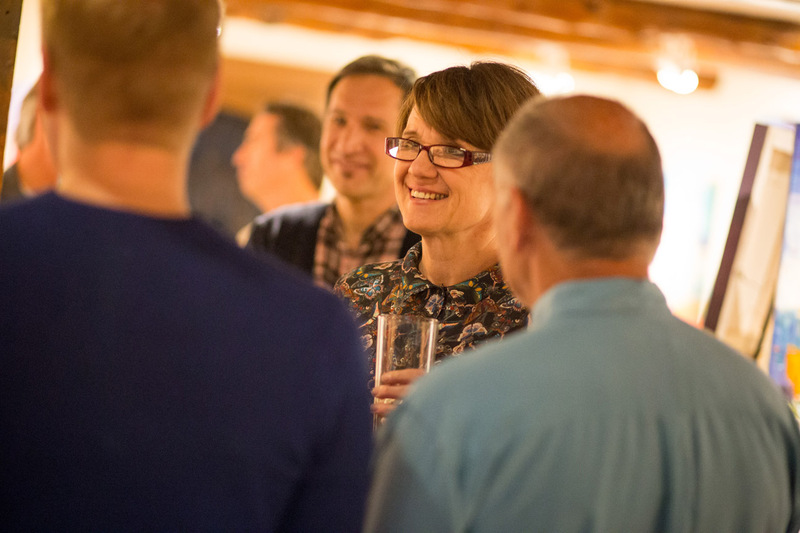 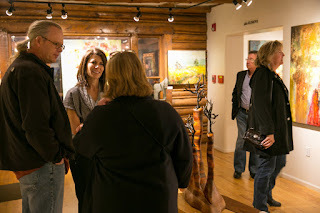 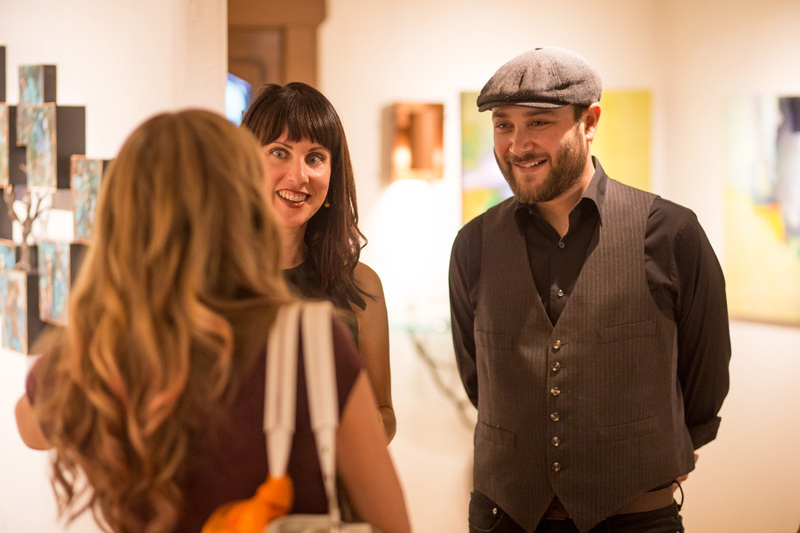 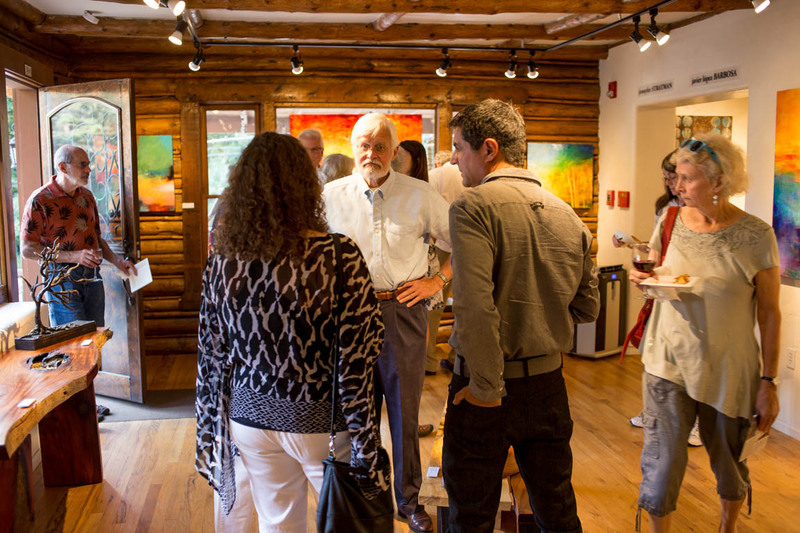 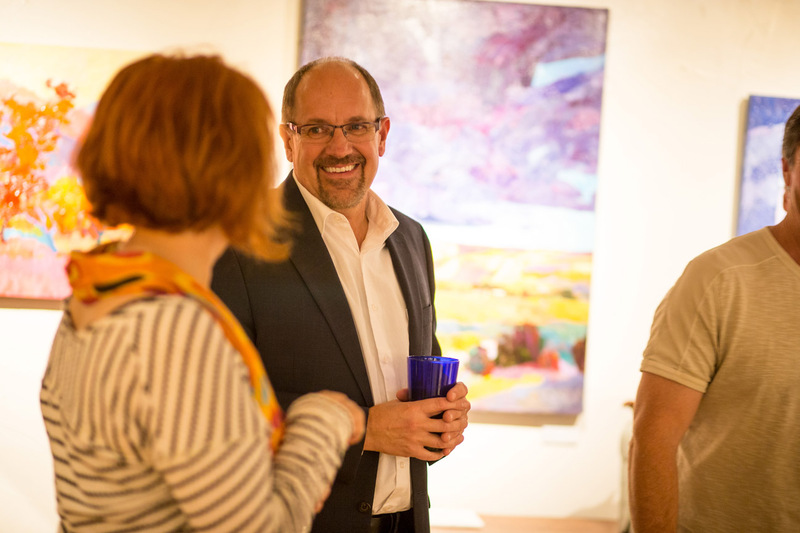 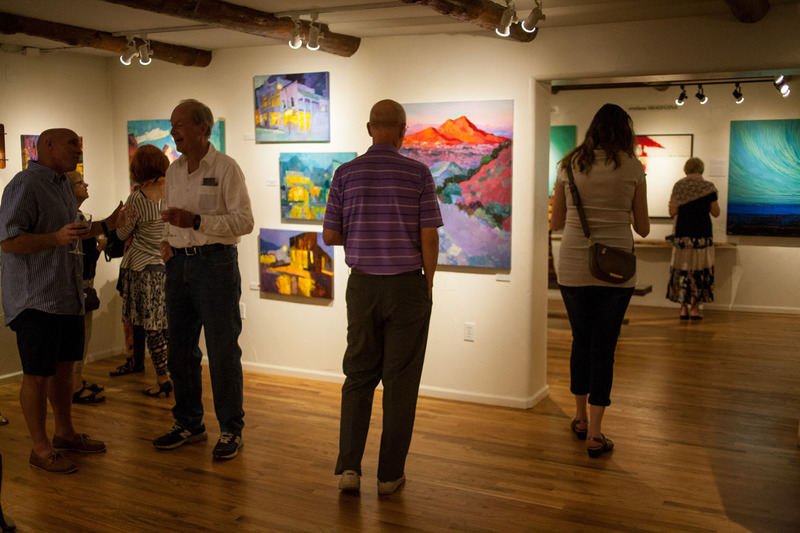 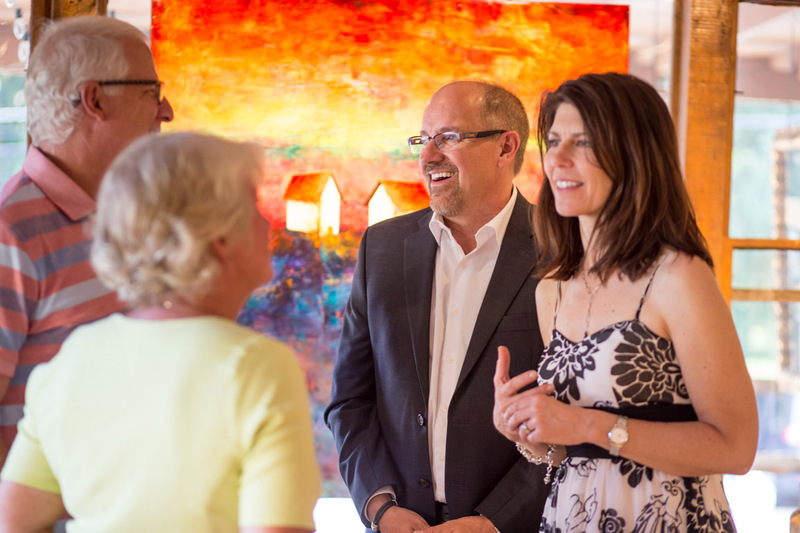 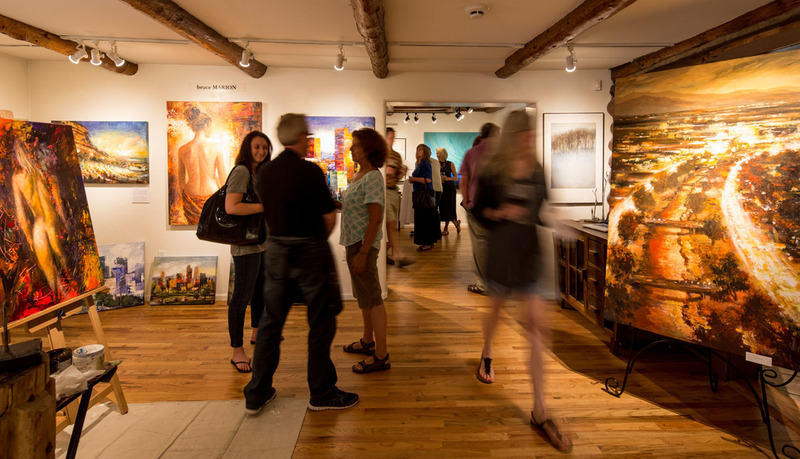 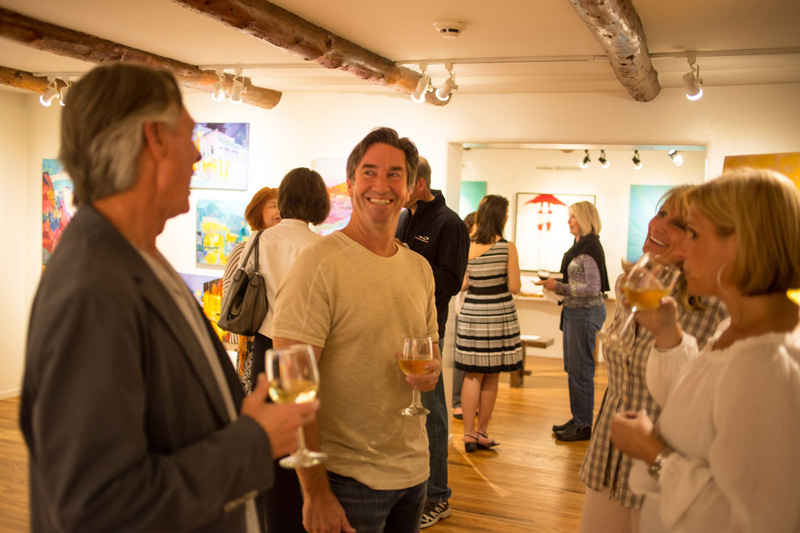 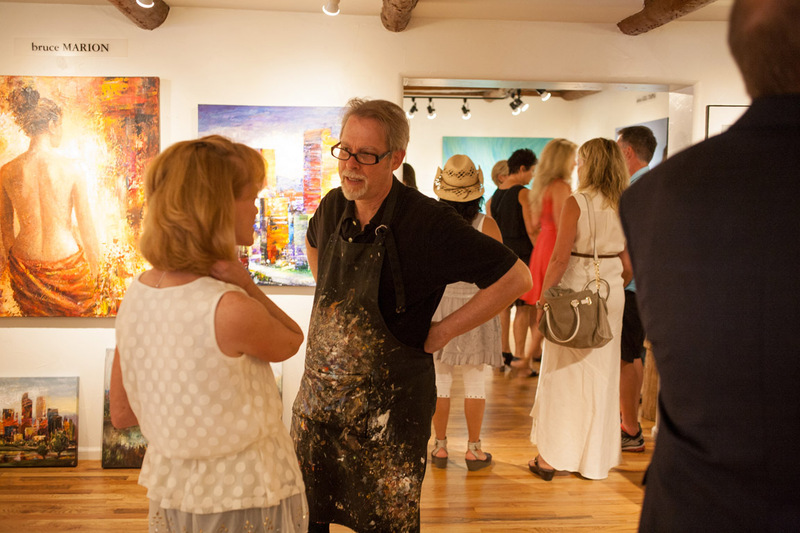 Steve Sonnen, owner of Mirada Fine Art, enjoys a conversation with artist Larisa Aukon. Larisa Aukon's 'RADIANCE' exhibition at Mirada Fine Art. 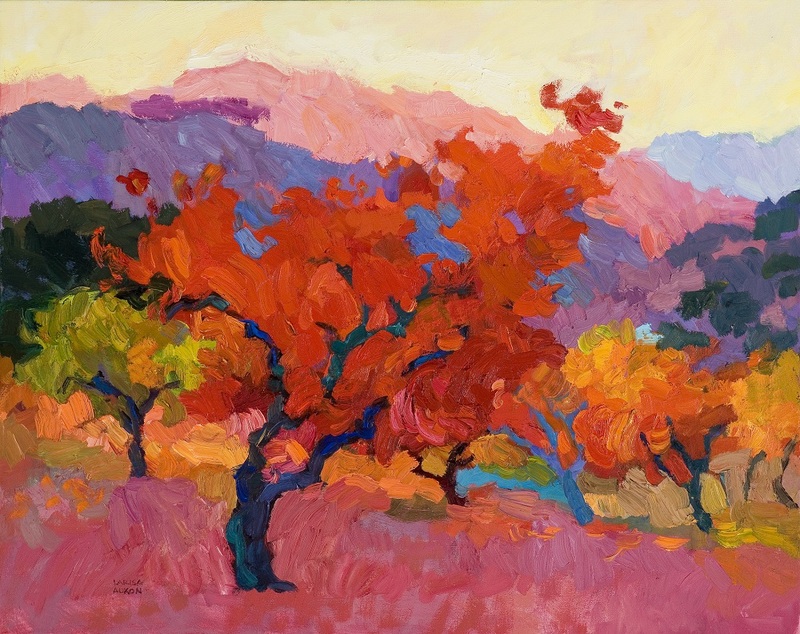 Arriving in the American Southwest, the explosion of color in the landscape took artist Larisa Aukon’s breath away. 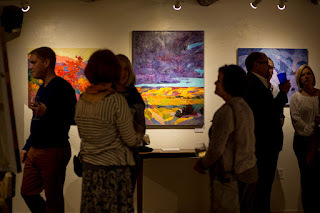 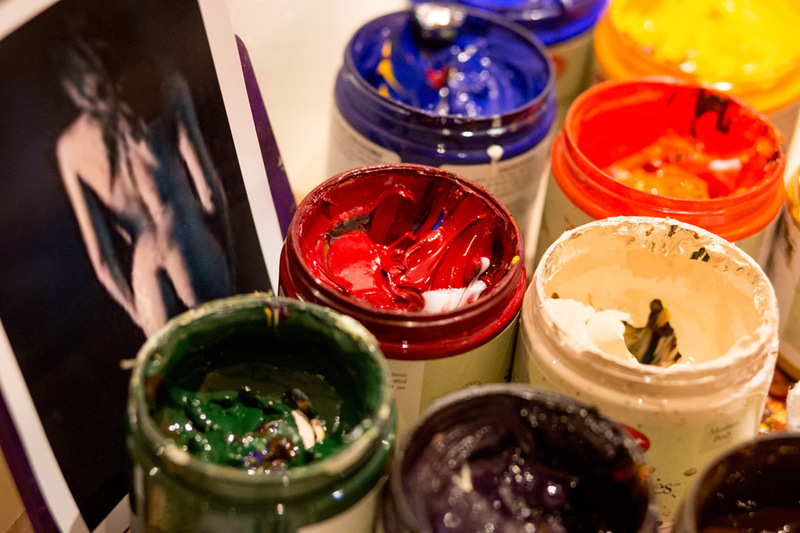 A child prodigy, Larisa had been creating artwork since the time she could hold a brush, and our endless panoramas inspired her to start imbuing the warm rich hues of her adopted home into her work. 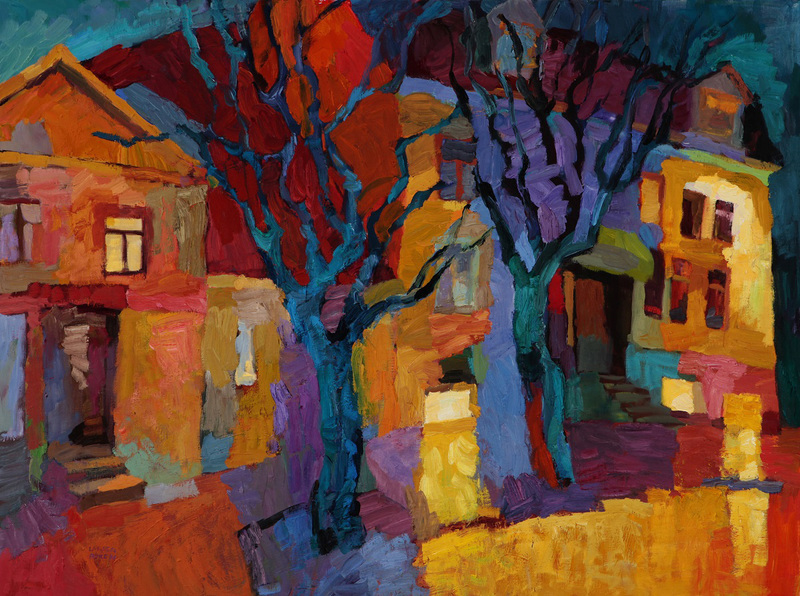 The bold strokes of color, balanced compositions and changing hues of light, hallmarks of the artist, catapulted Aukon to fame and are evident in every lush, brilliant natural and urban landscape she creates. 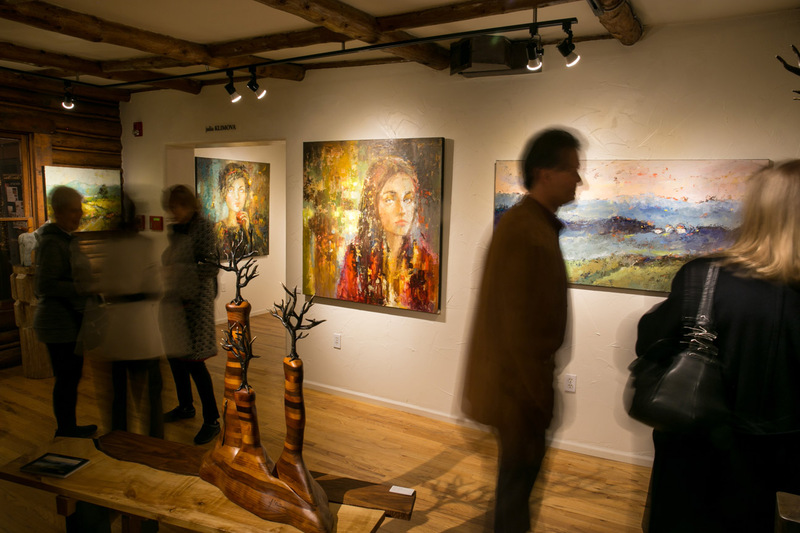 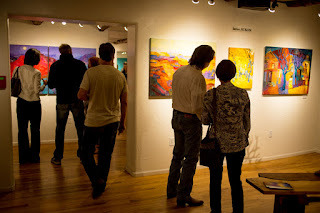 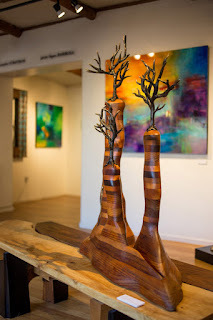 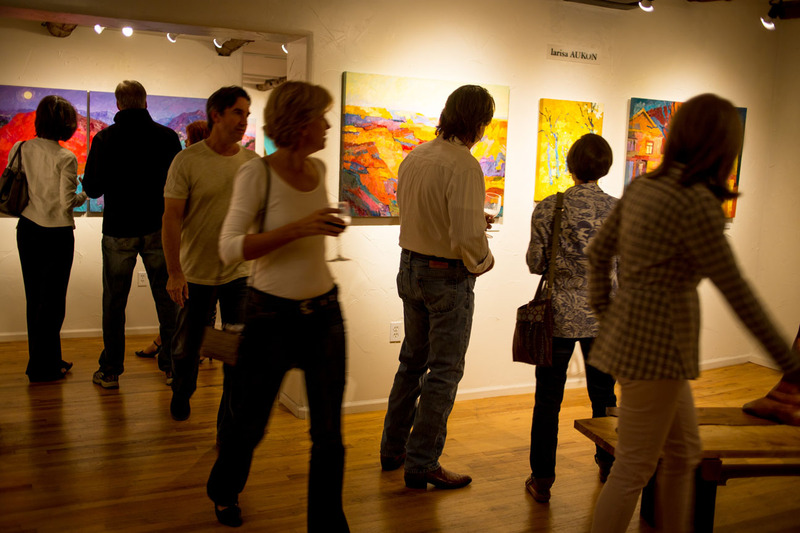 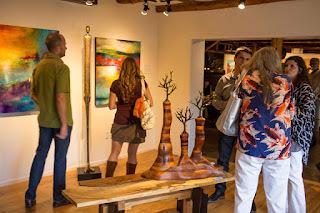 In early 2014, Mirada Fine Art started representing Ms. Aukon exclusively in Colorado. 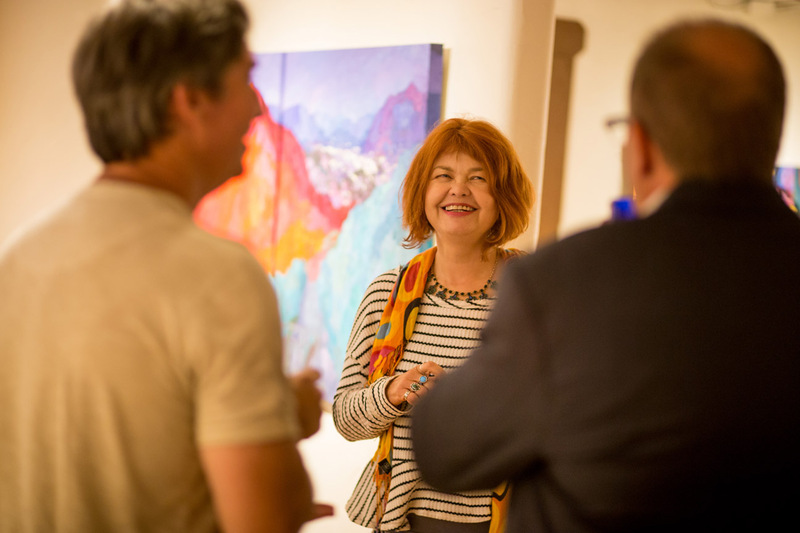 A few months later, her first solo exhibit in our state ignited local collectors’ interest and proved incredibly successful. 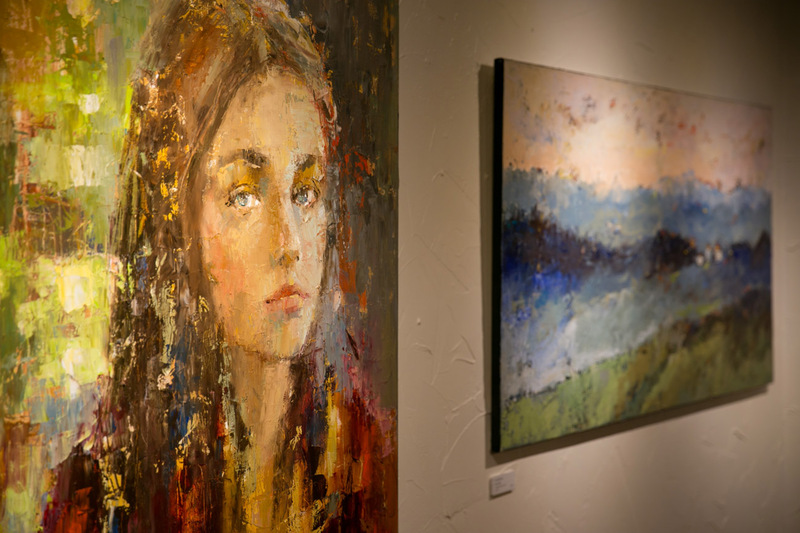 On September 22nd, Larisa returns with her latest richly pigmented and layered masterpieces. 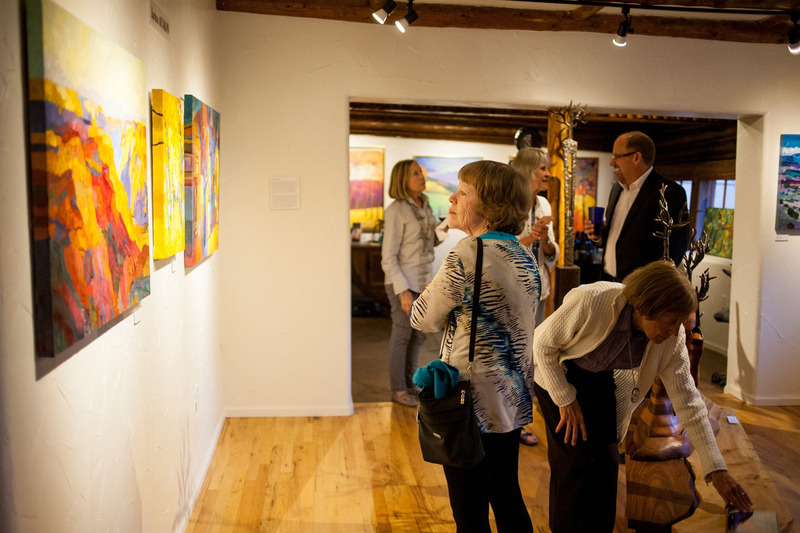 The collection created for this exhibit is entitled ‘Radiance,’ and viewers will immediately understand why. 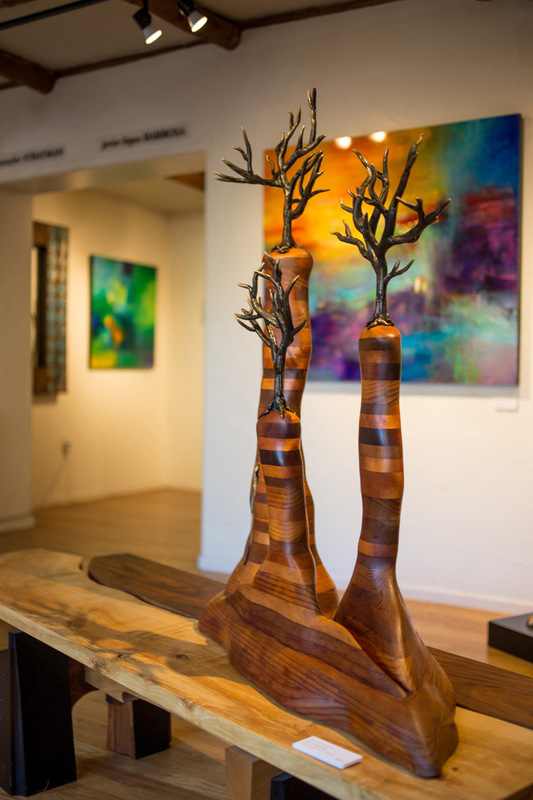 Each piece reflects her passion to express the inner pulse underlying nature. 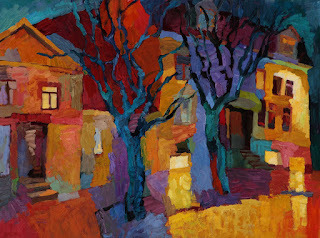 Larisa Aukon at Mirada Fine Art, Sidewalk Memories, Oil on Linen, 30" x 40"
Often featured in American Art Collector, Southwest Art and Cowboys and Indians magazines, Aukon’s well-deserved reputation stems from a tremendous amount of talent, dedication and training. 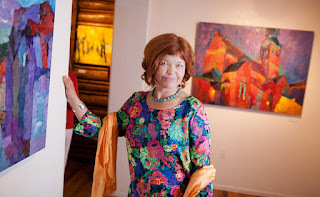 Larisa attended the prestigious and highly competitive Janis Rosenthal Art School in Riga, Latvia as a child and continued on to receive her Master’s degree from the Latvian Academy of Fine Arts. 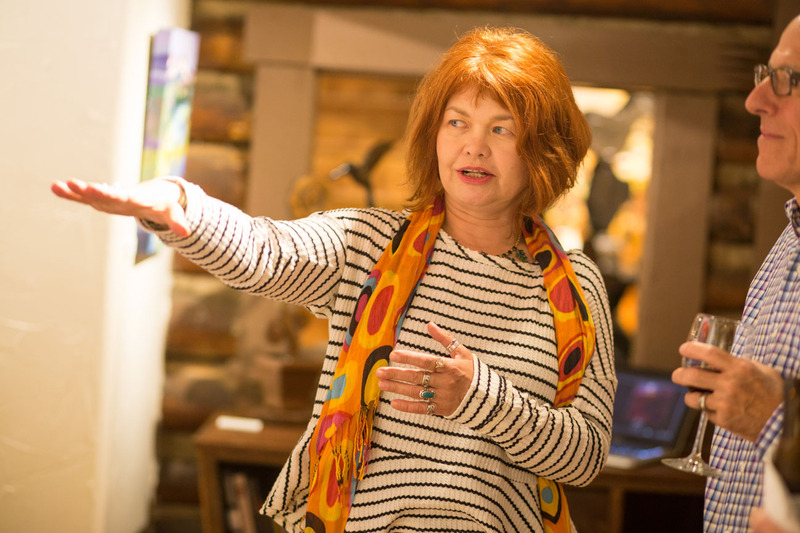 An inner compulsion and instinctive connection drew her to the United States. 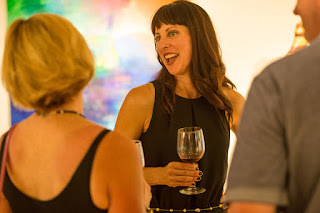 Fifteen years ago, she landed in Arizona where a cousin’s family lived. After the relatively monochromatic landscape of her native Baltic region, the American Southwest lifted Aukon’s spirit and talent to a new level, immediately garnering fame and recognition in the art world. 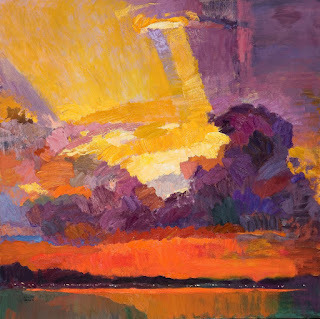 Larisa Aukon at Mirada Fine Art, Regent of the Sky, Oil on Canvas, 36" x 36"
Not technically a plein air artist, Larisa does extensive pencil and color sketches before ever beginning a painting in her studio. Then she paints…combining impressions, imagination, feelings and memories. 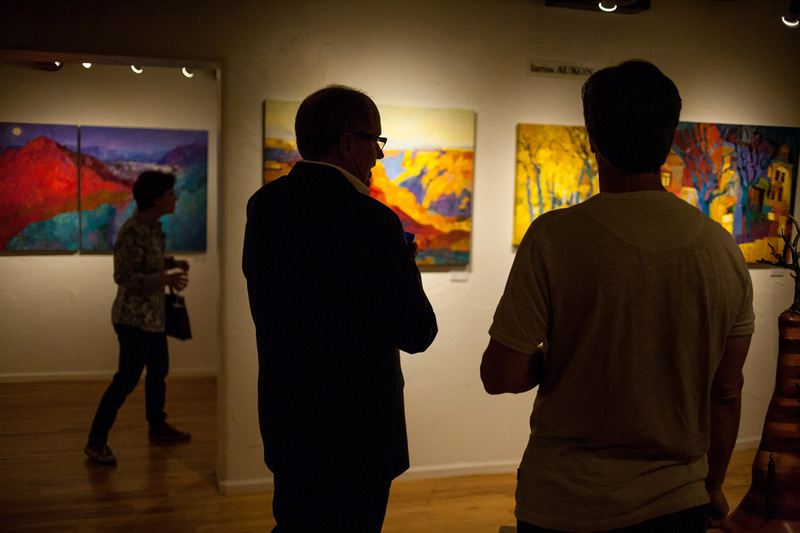 Whether depicting wide open landscapes, narrow streets or snowy nighttime scenes, her powerful strokes of layered radiant color supported by strong composition will transport you and remind you why we choose to live in Colorado. 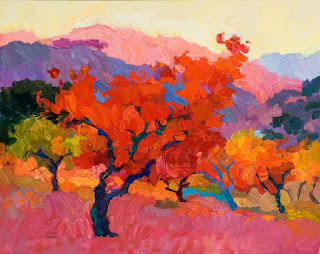 Larisa Aukon at Mirada Fine Art, Heirloom Orchard, Oil on Linen, 24" x 30"
Larisa Aukon unveils her latest work at an artist reception on Saturday, September 19 from 6-9pm at Mirada Fine Art. We certainly hope you will join us. 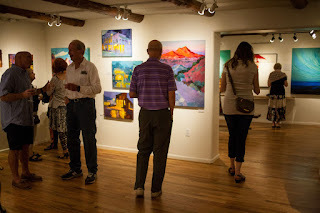 The exhibition will run from September 19th through October 11th. Jennyfer Stratman and Javier Lopez Barbosa at Mirada Fine Art for their 'CONNECTION' exhibition. We had an absolutely fantastic opening reception for the exhibition 'CONNECTION' featuring the artwork of Jennyfer Stratman and Javier Lopez Barbosa. 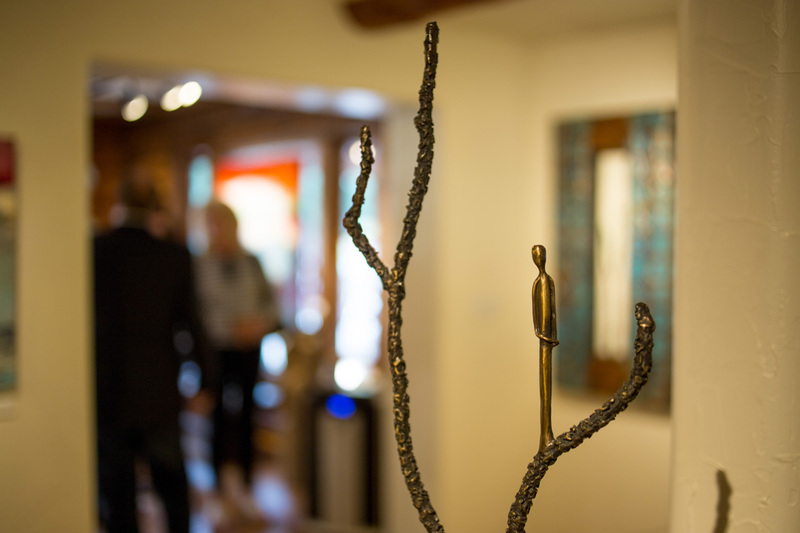 Jennyfer's striking bronze sculptures next to Javier's vibrant abstract paintings proved to be a spectacular combination. 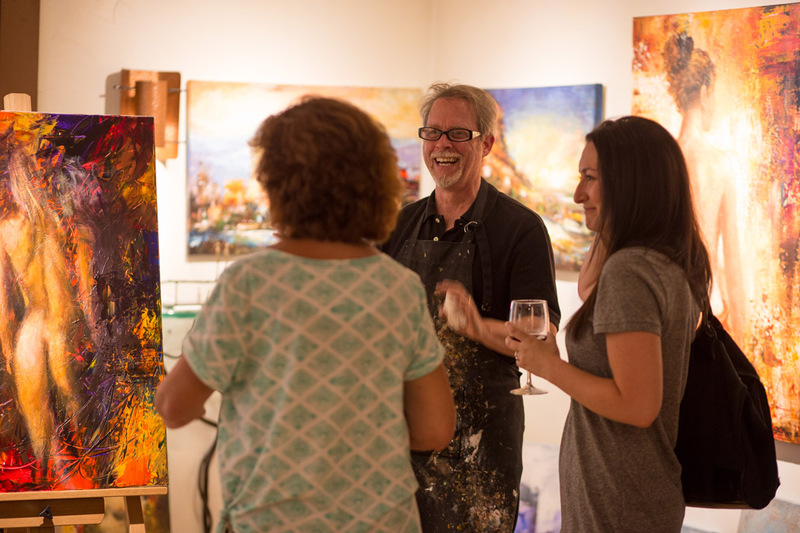 Mirada patrons savored the experience. 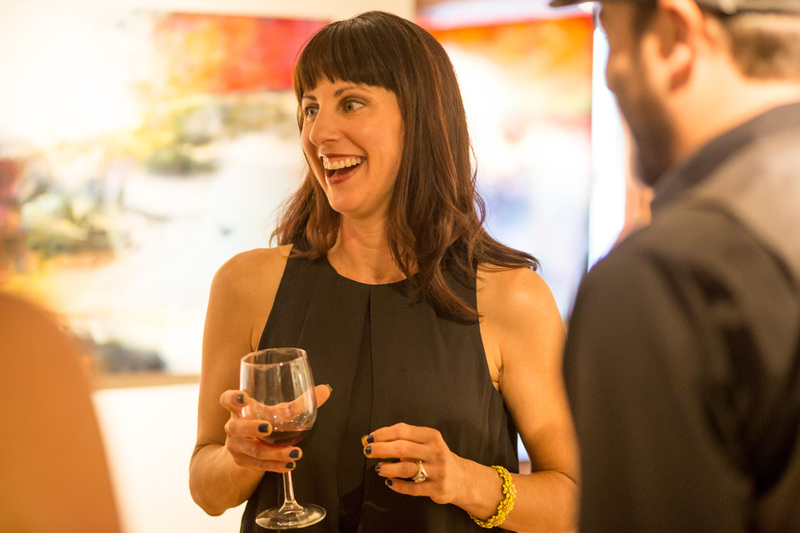 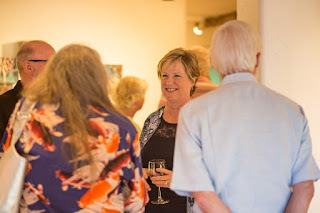 Jennyfer Stratman enjoys the opening of 'CONNECTION' at Mirada Fine Art. Opening night at Mirada Fine Art of 'CONNECTION' featuring the art of Jennyfer Stratman and Javier Lopez Barbosa. 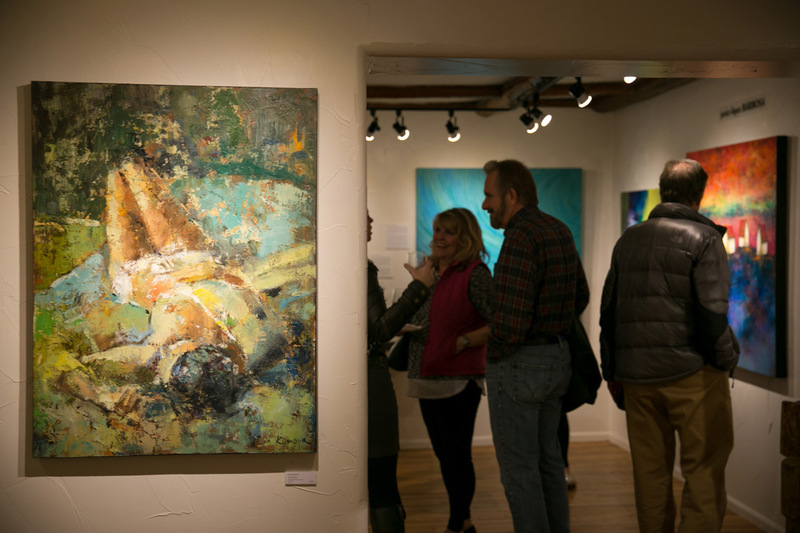 Jennyfer Stratman's 'Spired Anatomy' at Mirada Fine Art. Jennyfer Stratman discusses her artwork with her collectors at Mirada Fine Art. 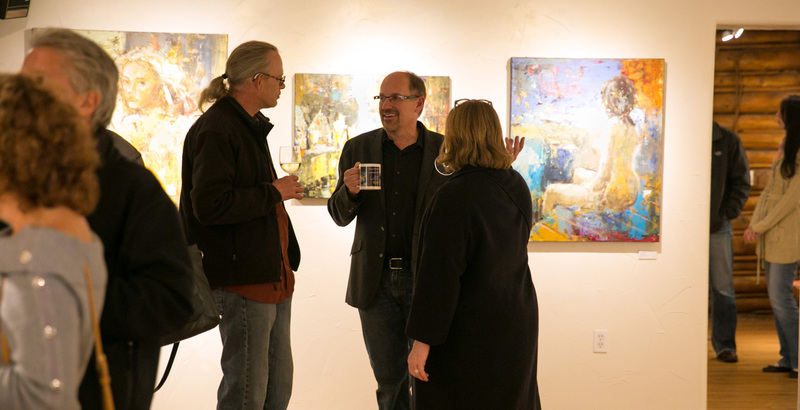 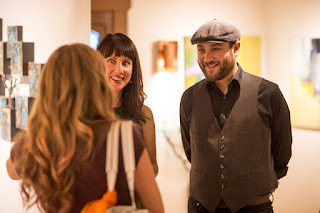 Steve Sonnen and Jenni Sonnen, owners of Mirada Fine Art, at the opening of the 'CONNECTION' exhibition. 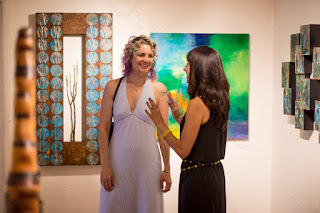 Opening night of 'CONNECTION' featuring artwork by Javier Lopez Barbosa and Jennyfer Stratman. 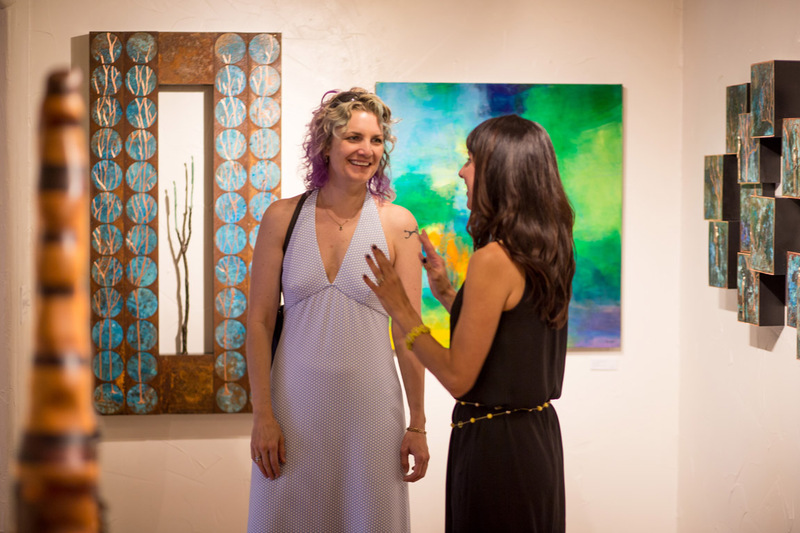 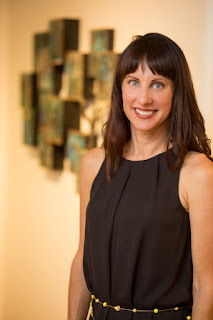 Jennyfer Stratman discusses her artwork at Mirada Fine Art. 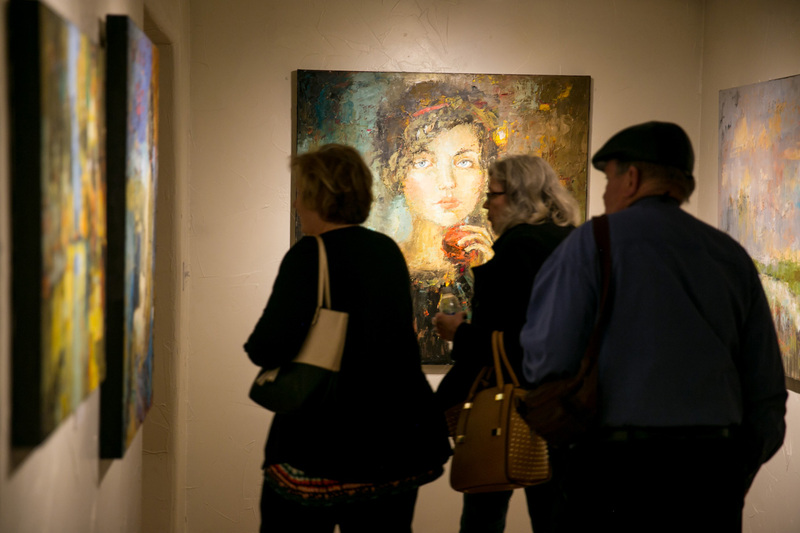 Savoring the artwork of Jennyfer Stratman at Mirada Fine Art. 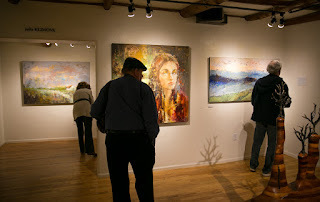 Jennyfer Stratman's artwork at Mirada Fine Art. 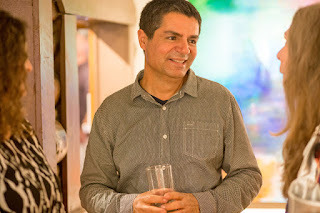 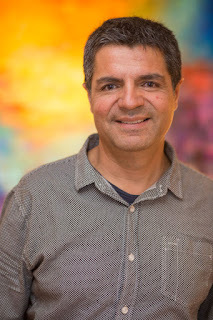 Javier Lopez Barbosa discusses his technique at Mirada Fine Art. 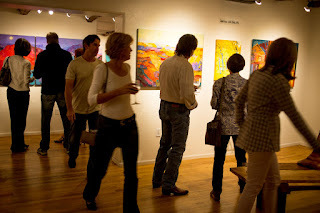 Jennyfer Stratman at Mirada Fine Art. 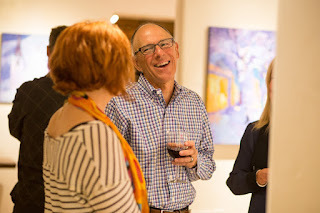 Jennyfer Stratman and Johnny Jaffe at the opening of 'CONNECTION' at Mirada Fine Art. 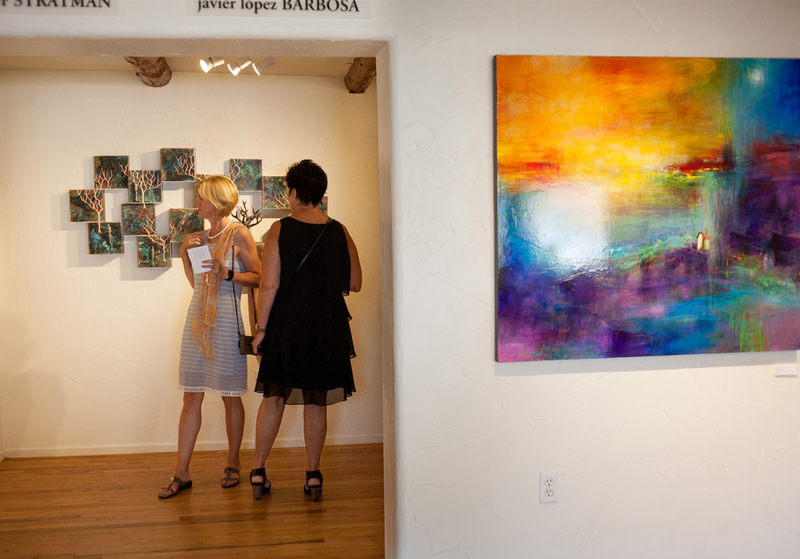 Javier Lopez Barbosa at Mirada Fine Art. 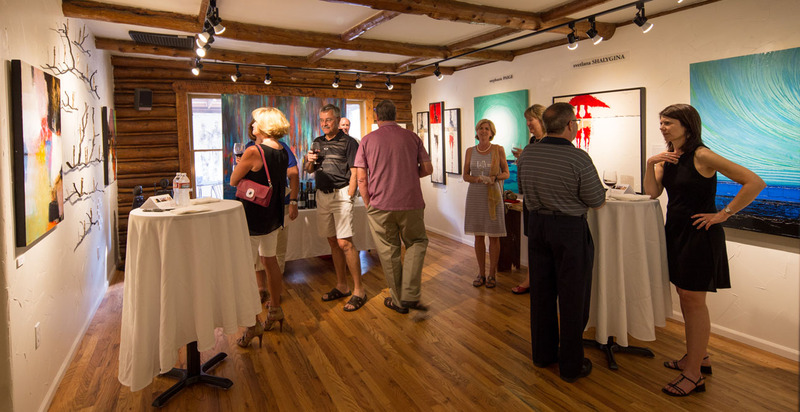 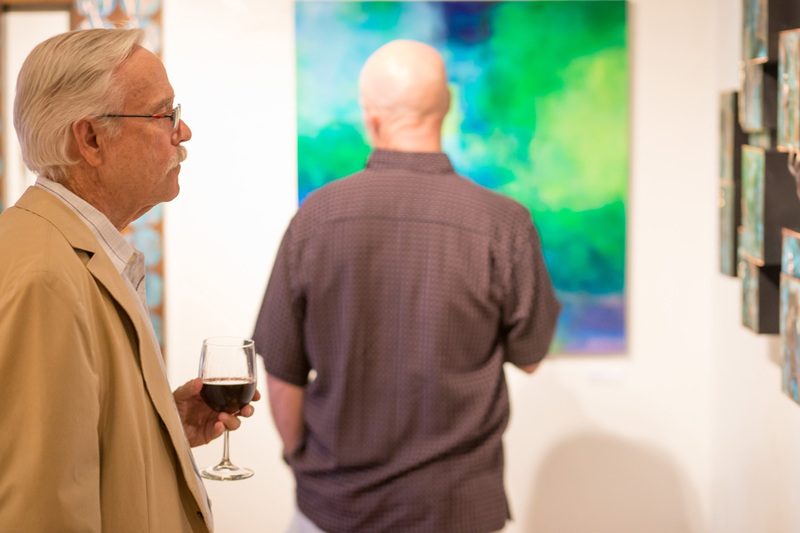 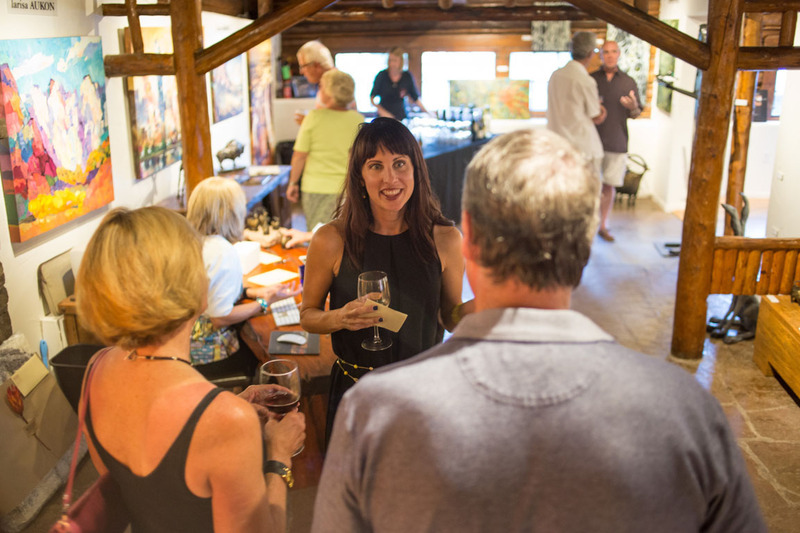 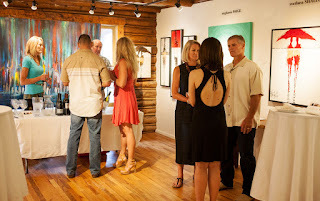 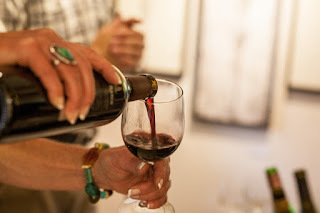 We had an amazing night on Saturday, August 22, 2015 for our second annual 'Art & Wine Gala.' 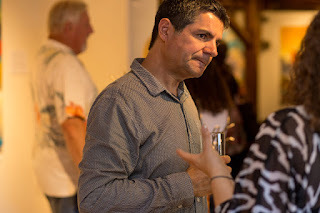 Greg Thomas, owner of Evergreen Liquors and a true wine expert, poured tastings of truly amazing wines! Bruce Marion, one of Mirada's most popular artists, was busy at work all night long. 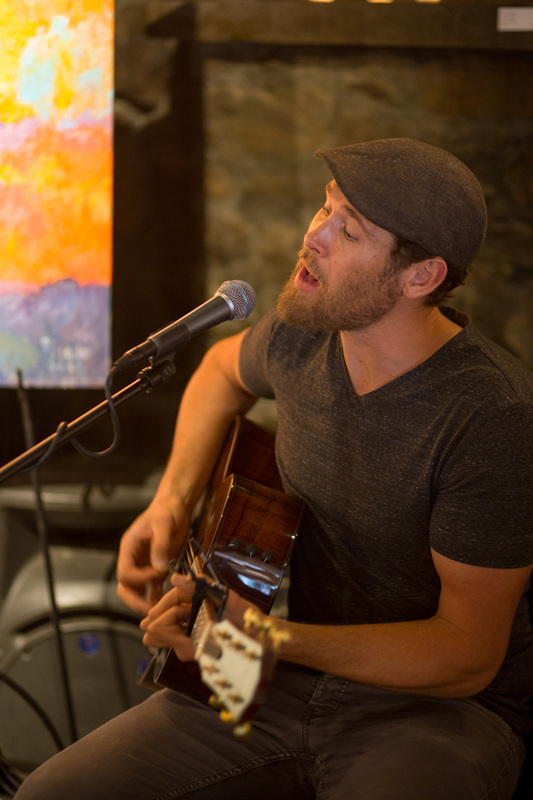 And music was provided by the amazing Jeff Brinkman. 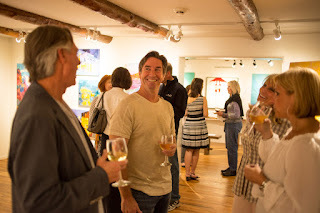 The evening was truly wonderful! If you weren't able to join us, we hope you can next year! 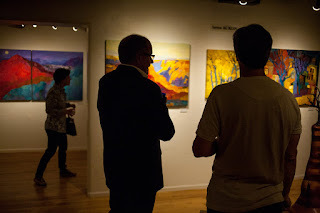 Here are some photos from the event. Mirada Fine Art's '2015 Fine Wine & Art Gala' on August 22, 2015. 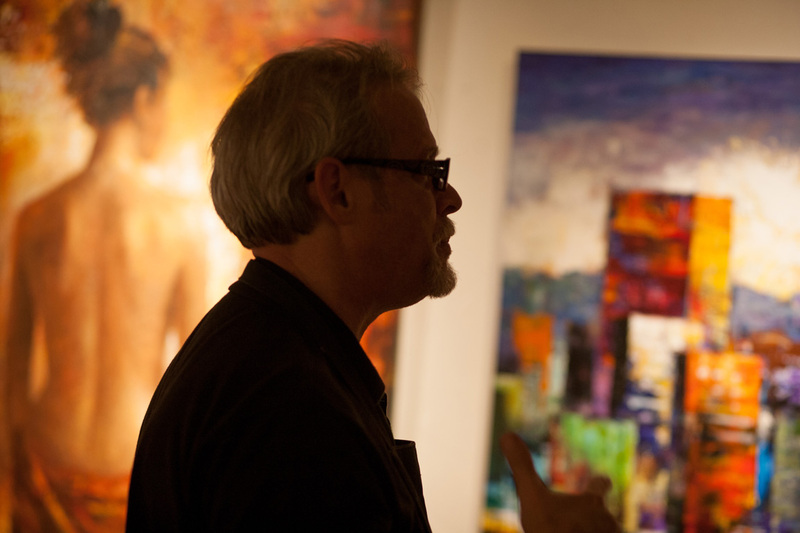 Bruce Marion discusses his artwork at Mirada Fine Art. 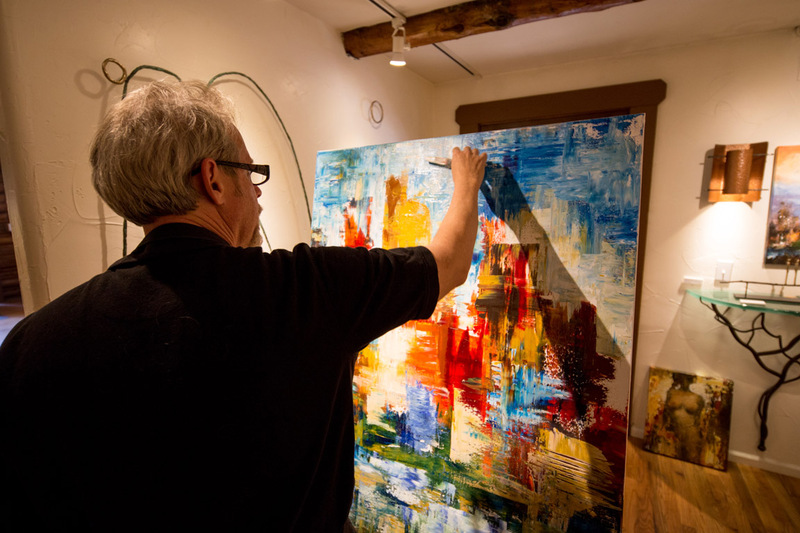 Bruce Marion working on a new Denver cityscape at Mirada Fine Art. Bruce Marion at Mirada Fine Art with his artwork in the background.